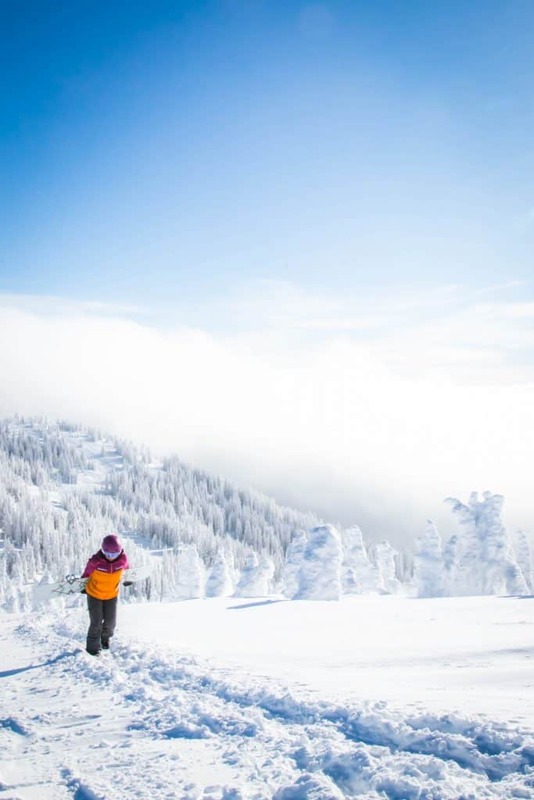 Sun Peaks in British Columbia may be one of our favorite ski resorts in North America. There is something to offer every level of skier, snowboarder, or vacationer. When it comes to the ski resort the trails are well laid out and easy to navigate with just about every run ending at the resort village. When we arrived at Sun Peaks we were not sure what to expect from Canada’s second biggest ski area. It had been a long drive from the Kootenay’s and the Powder Highway and we were relieved with smiles when we pulled into the resort village. The whole town was alight and the rooftops were covered with fresh piles of snow. 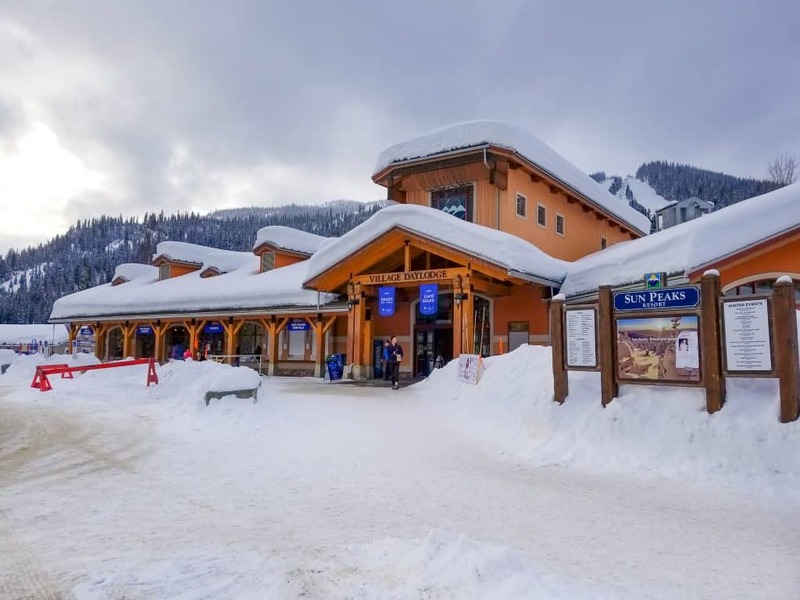 Sun Peaks village is modeled after a Bavarian village making it wonderfully charming during the winter season. We were able to pull right up to our hotel and unload our snowboards right in our hotel’s underground ski room – convenience at its best. 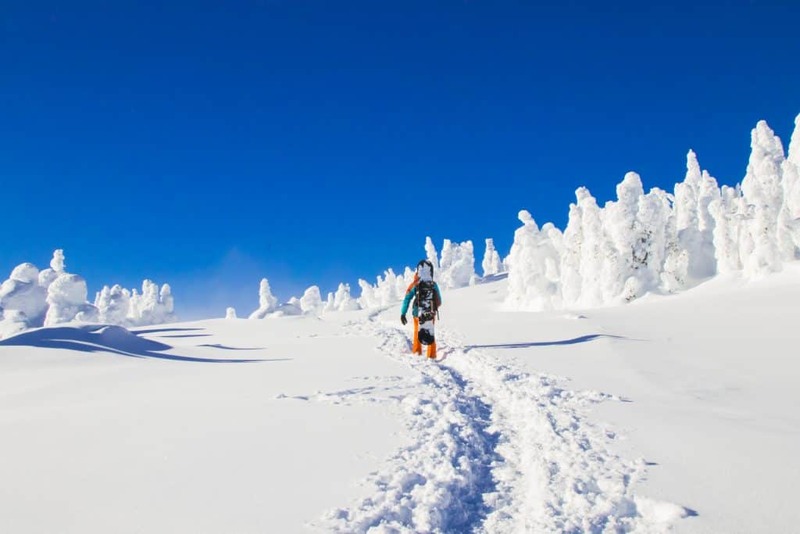 There are a number of hotels, lodges, and vacation homes that offer ski-in-ski-out accommodation which can be tough to come by with many Canadian ski resorts. 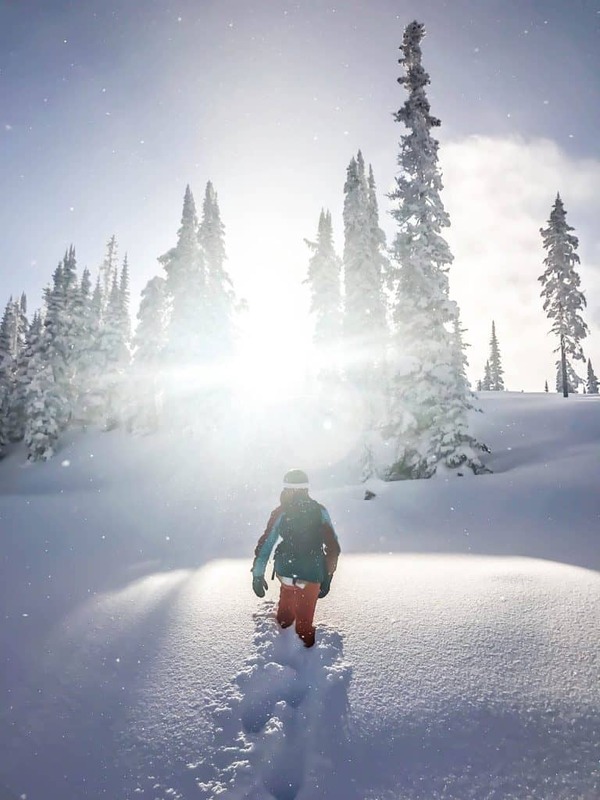 Long story short – Sun Peaks is arguably the best full-service resort in Canada. 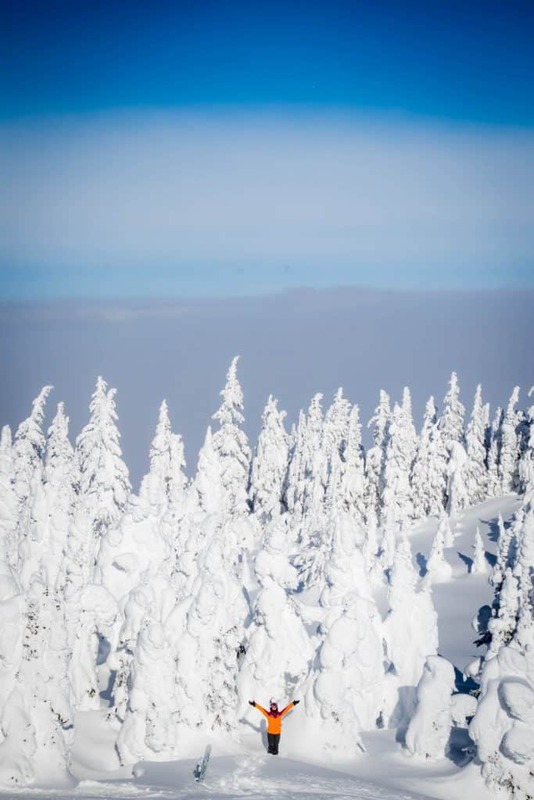 There are plenty of reasons why the ski resort makes for one of the best options for those looking for a carefree and laid back ski holiday. It might not be a die-hard skiers or riders mecca, but for just about everyone else it hits all the right notes. Here’s why we loved our holiday at Sun Peaks. 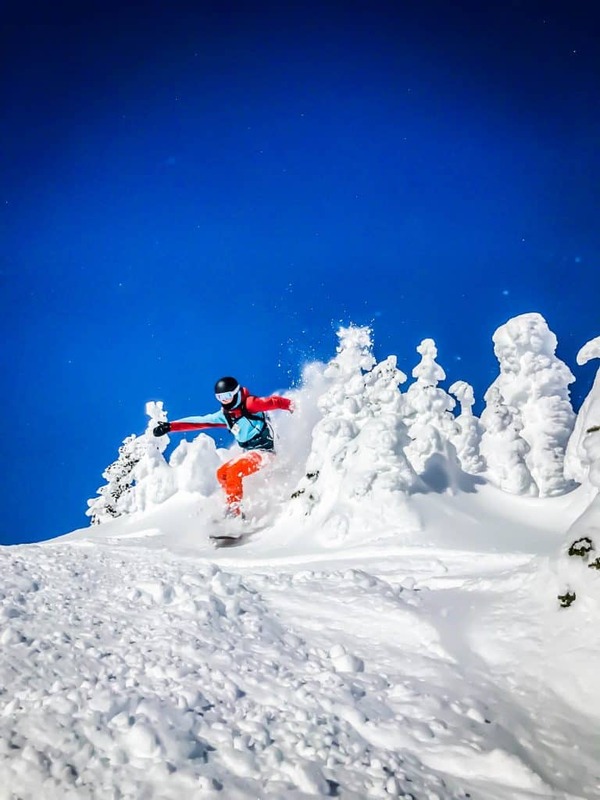 Why Choose to Ski at Sun Peaks? With a number of ski-in-ski-out accommodation options all within the ski village, it makes for the perfect escape without ever having to step foot into a car. 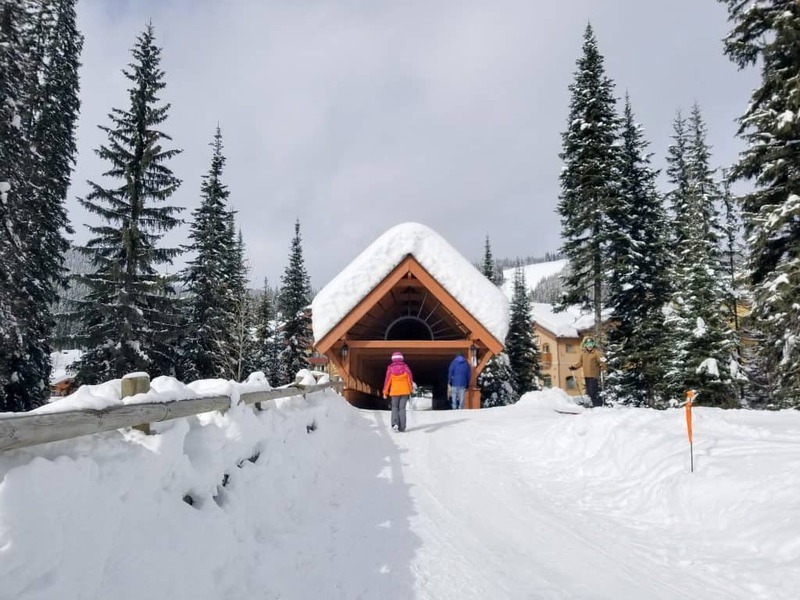 We’ve been to a number of ski resorts and villages and Sun Peaks is easily one of our favorites because of it’s ease. The resort has a main pedestrian/ski street that links many of the hotels, shops, and restaurants. It’s all walkable, safe, and convenient. There is even a small grocery store! (Although it’s a bit overpriced, so I would recommend picking up your groceries in nearby Kamloops). You can literally wake up and ski right from your hotel to the lifts. At any time during the day, it’s easy to hit up a village restaurant, shop, coffee shop, or bar – pretty sweet. We spent a lot of time hanging around the village and the Sun Peaks community keeps it lively with events going on every night. If you’re looking for some apres-ski drinks we highly recommend the Voyageur Bistro. The trails at Sun Peaks ski resort are well laid out and pretty easy to navigate with almost all runs leading back to the base village. It makes for easy navigating and it is almost impossible to get lost. Especially in comparison to Switzerland and Austria where skiers and boarders can easily end up in another village or country if they don’t pay attention. We learned that at the top of any chairlift at Sun Peaks there is always a wide beginner run down, so you never have to worry about accidentally getting in over your head. On “Five Mile,” you can ride from the top of Mt Tod. for five miles winding back and forth through the trees. The run is the longest at Sun Peaks and is a great cruiser for any skill level. Also, unless you go off-piste or in glades you’re never in any serious danger like at Whistler or Lake Louise. So if you are skiing with children you will feel comfortable letting them run loose here! I may have mentioned that the resort doesn’t serve as a mecca for ski bums, but that doesn’t mean the ski runs aren’t notable. There are a number of challenging pistes, bowls, glades, and a seriously extreme terrain park that has plenty to offer expert and advanced ability levels. A highlight for any rider or skier is Gil’s. It’s an inbounds area only accessible via a short ridge hike, but consistently offers quiet tree riding with deep powder stashes. If you’ve seen a glossy ad of a skier ripping past some trees this is the spot. For years it was slackcountry and unpatrolled, but starting in 2014/2015 the resort opened it up to resort patrons. Now it’s the most consistent way to find amazing powder and zip past some trees. It’s always best to remember that in off-piste areas you should always ski with a partner and a brain. Other great areas for advanced skiers and riders are the Crystal Bowl, Kookamungas, and Chute in the Mt. Tod ski area. We also found amazing runs with deep snow and a steep pitch on Static Cling and In Tatters off Mt. Morrisey. The Mt. Morrisey area was easily our favorite on the entire mountain as it was quiet and provided great tree runs. Mt Morrisey is sure to be a hit with intermediate and advanced riders looking to rip through some groomed runs. The pistes here are the latest additions to the mountain and designed to maximize the beauty of the area. The runs are mainly groomed pistes that snake back and forth between pine trees. The effect provides the feeling of cruising through a glade without the difficulty or danger. Switchbacks and groom lines also provide for fun hits to jump and practice a bit of freeride style. The greatest part of the mountain is the lack of a crowd and good snow quality. We hit the section on a weekend and found absolutely no lift line for 1,300 feet of vertical and a high-speed lift. For vertical fiends, you can clock in some serious feet here in one afternoon we managed around 20 runs down. Mt. Morrisey is not an anomaly, as even the more crowded base area is known for short or no lines. Unlike many of the more popular resorts in Colorado, Canada, or California you’ll have plenty of time to enjoy what you came to do, ski. One of the main reasons Sun Peaks likely has no lines is it being removed from any major cities. You won’t find many day-trippers here except the neighboring town of Kamloops. We haven’t been to Whistler, which is often regarded as Canada’s top ski resort, but have heard the lines and crowd there can get insane. So Sun Peaks is a nice alternative. Not everyone wants to spend every waking minute on the slope. Even I do not want to spend every day on the slope despite dreaming of snow in my sleep. 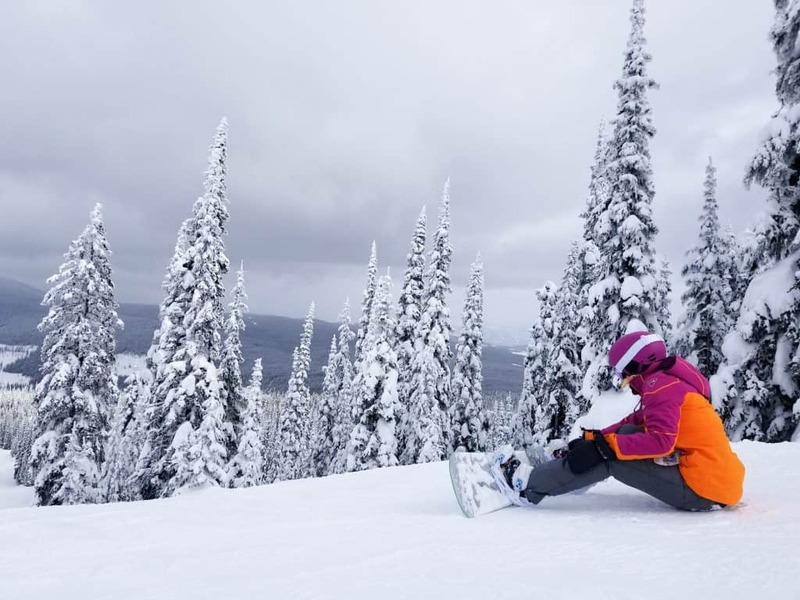 For those who would like to give their legs a rest or would prefer not to spend their time strapped into skis or a snowboard, Sun Peaks has plenty of winter activities. 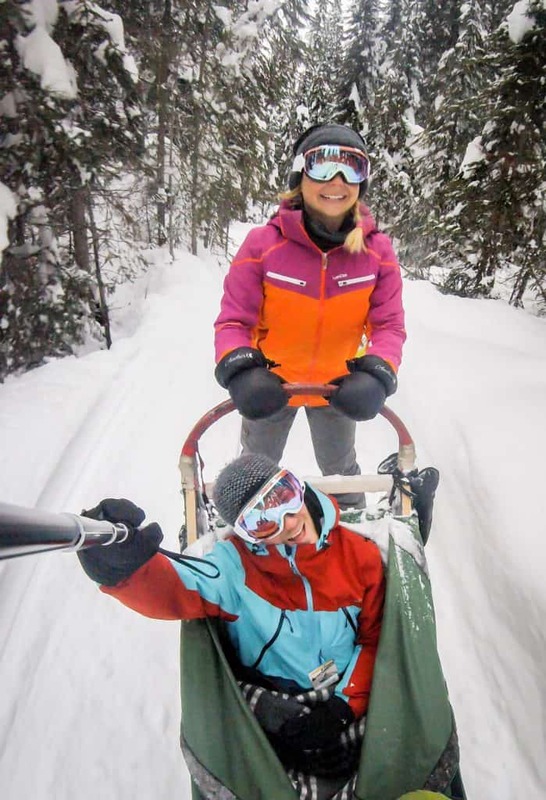 Guests can go first tracks, ice skating, ice fishing, snoeshowing, dog sledding, tubing, fat biking, and more activities. If you want to read more about the activities at Sun Peaks check out their website. With three days of riding planned, we were also able to sneak in a few awesome activities that anyone would love! 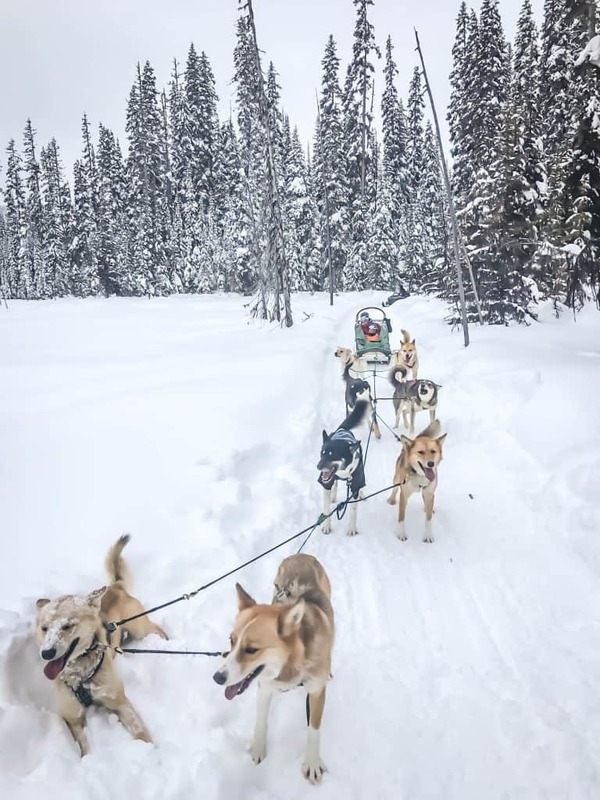 Dog sledding is a quintessential winter experience and will easily be a highlight of any vacation. It’s been a highlight of our winter. 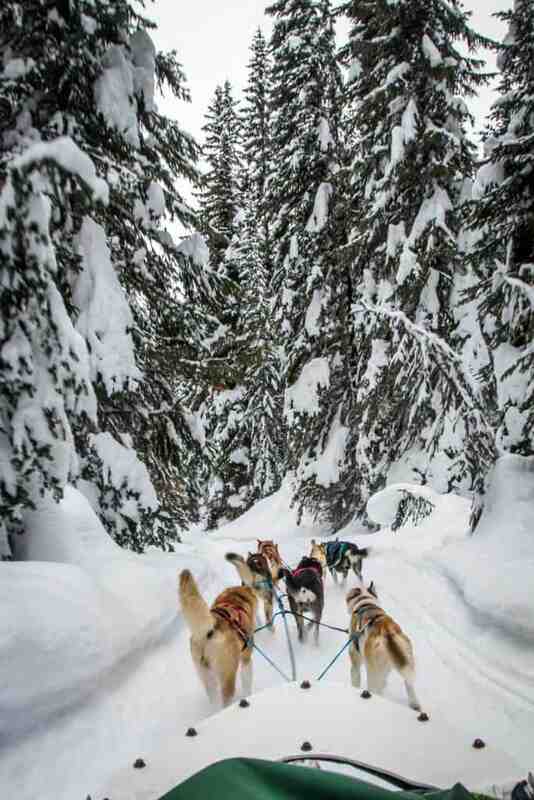 Bundling up in a sled as a team of dogs rushes through the woods is sensational. Or if you feel like doing it yourself, you can even be a musher! We went with Mountain Man Adventures, an experienced and small family operation just near the ski hill. You can book a dog sled tour with the activities desk in the village, or online. 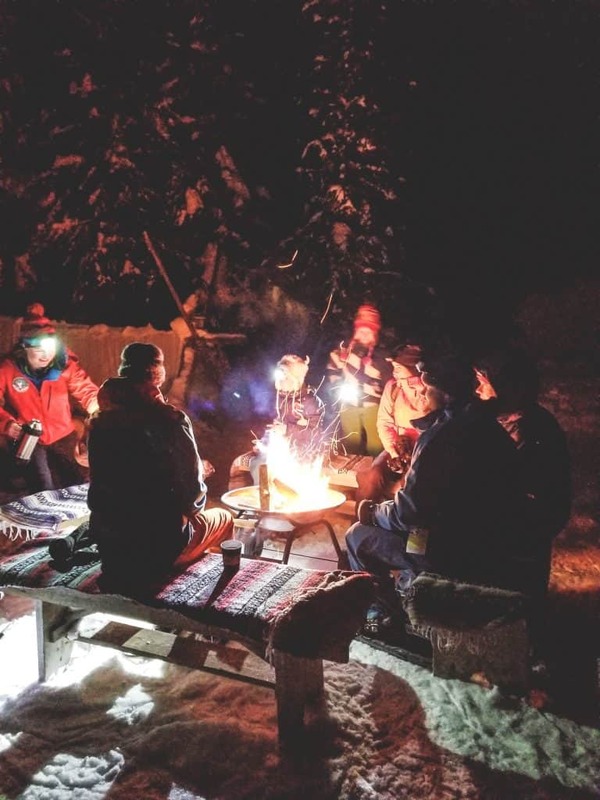 Another great thing to check out is the Moonlight Snowshoe and S’mores tour. We met in the base village shortly after nightfall before we set off onto winter trails on snowshoes. At the end of a short walk, we sat down to a warm fire, apple cider, and some s’mores. On our tour, we were joined by a couple of Kiwis and Brits so it was fun sharing a slice of North American culture with them. On a clear night be sure to look up and enjoy an amazing starry night sky! The more we ride and ski the more we come to appreciate the slopeside accommodation. We stayed at Nancy Greene’s Cahilty Hotel & Suites that has one bedroom and two bedroom apartments with full kitchens right on the mountain. We’re vegetarians bordering on vegans so going out to eat can be tough sometimes. The ability to cook our own food not only saved us money but made dinner time much easier! What distinguishes many of the resorts in Canada to us are the costs. We’ve been to a number of resorts in Canada, Switzerland, and Colorado and the prices come in at a fraction of the cost. Accommodation costs for on-mountain rooms range from $100-$200 on average. Food costs are also affordable especially if you opt for self-catering and pick up groceries in Kamloops. There is the market in the center of town, but again, it’s limited and food costs come at a premium. 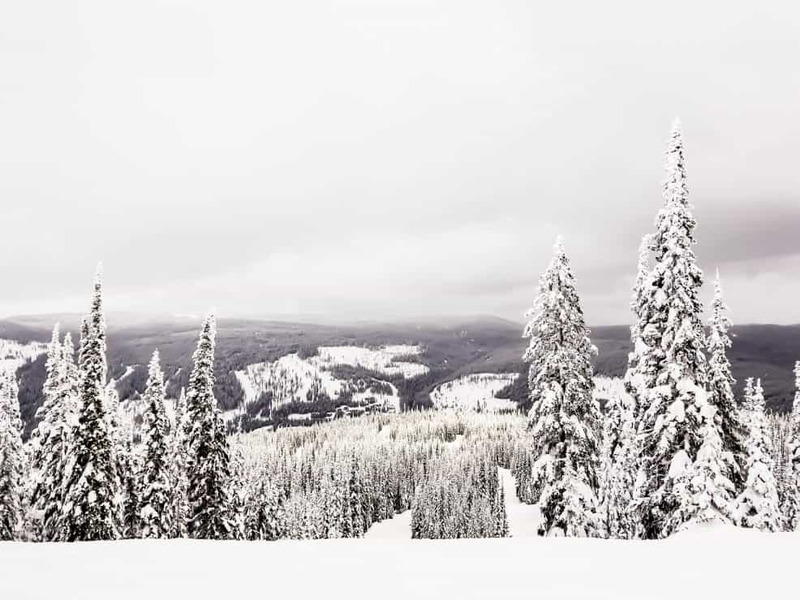 Planning a holiday in Sun Peaks is pretty painless with a number of flight options operating out of the nearby Kamloops airport. Also, the resort is a five hour drive to the popular Whistler-Blackcomb, due to this many people choose to visit both resorts on their ski vacation. 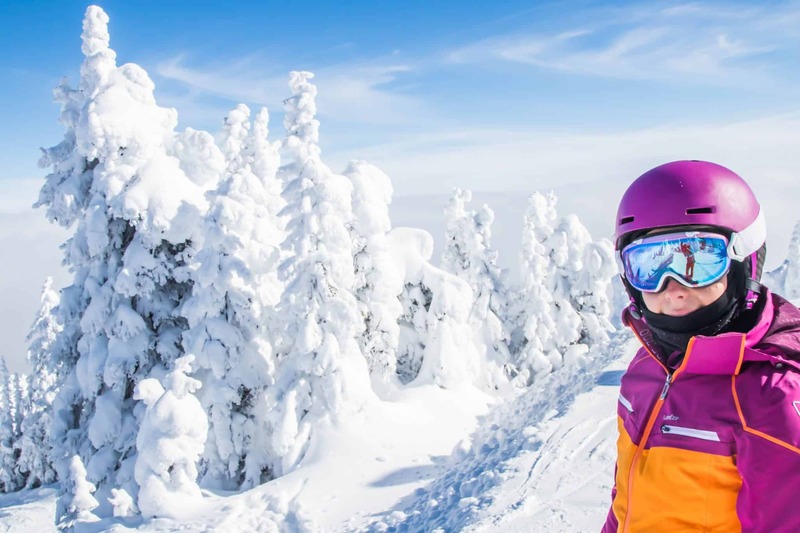 A number of operators offer full packages with rentals, lift-tickets, transfers, and accommodation between the two resorts. 50 of the Best Things to do in Canada! Why We Moved to Canada • Our New Home in Alberta!